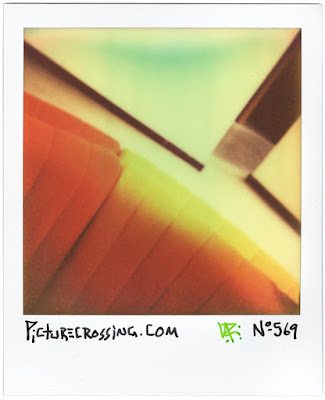 Picturecrossing No. 840 (BG No. 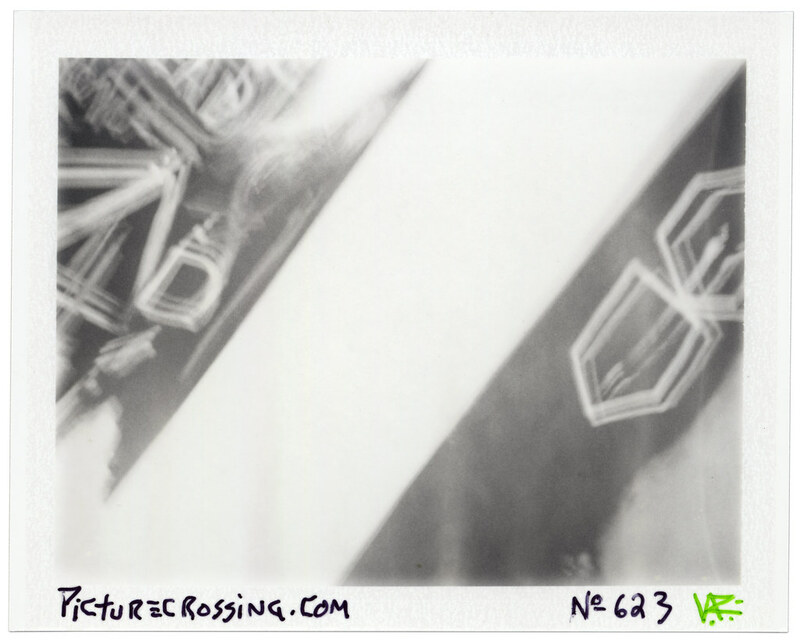 36) - A nearly black shot while having trouble with my camera & magicube. Shooting in St. Pete near the MFA. Slight white streaks & divot at bottom. 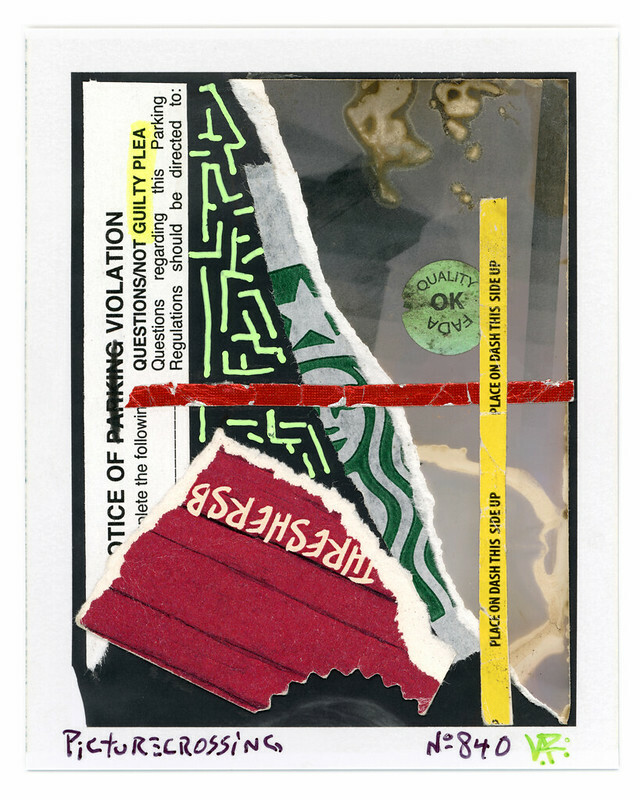 COLLAGED this on 4/6/19 with trash from the streets, "Guilty Plea"
Picturecrossing No. 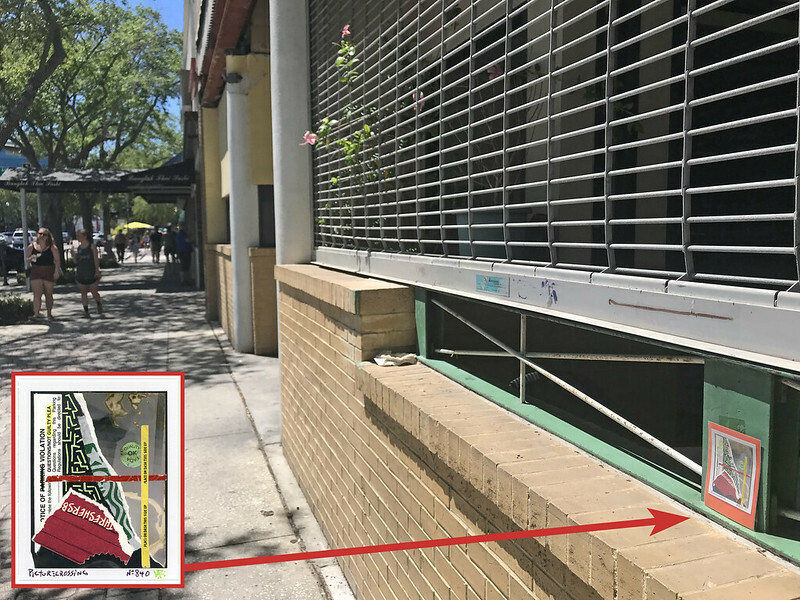 840 was LEFT: in St. Pete, Florida on Monday, 4/22/19 on a green rail on the facade of a vacant restaurant at 551 Central Avenue. FOUND: by Skyler Johnson the same day. Picturecrossing No. 804 (LG No. 129) - Pfeiffer Chapel, Florida Southern College, Lakeland. Frank Lloyd Wright archetecture. Picturecrossing No. 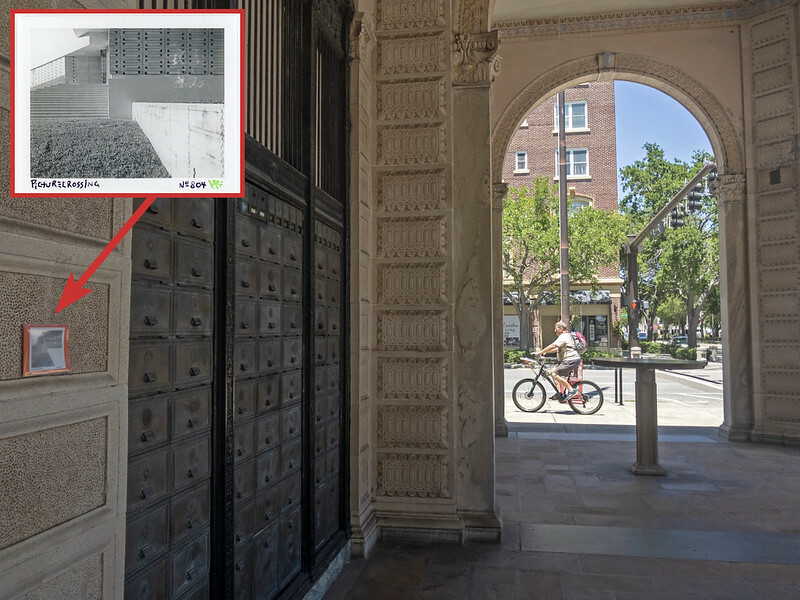 804 was LEFT: in St. Pete, Florida on Monday, 4/22/19 on the space between banks of old PO boxes at the Historic Post Office in St. Pete, Florida, at 76 4th Street N.
Picturecrossing No. 806 (LG No. 134) - Double Exposure at Pfeiffer Chapel, Florida Southern College, Lakeland. Frank Lloyd Wright archetecture. 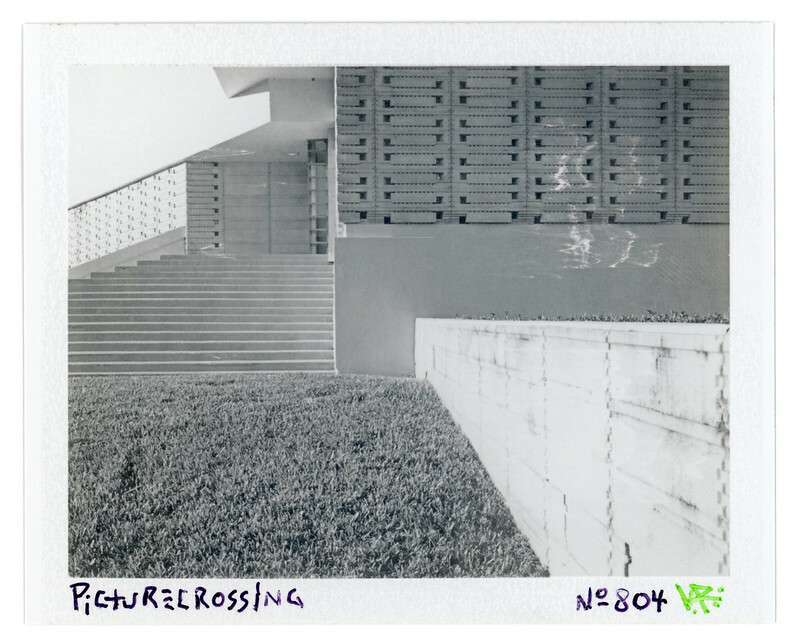 Picturecrossing No. 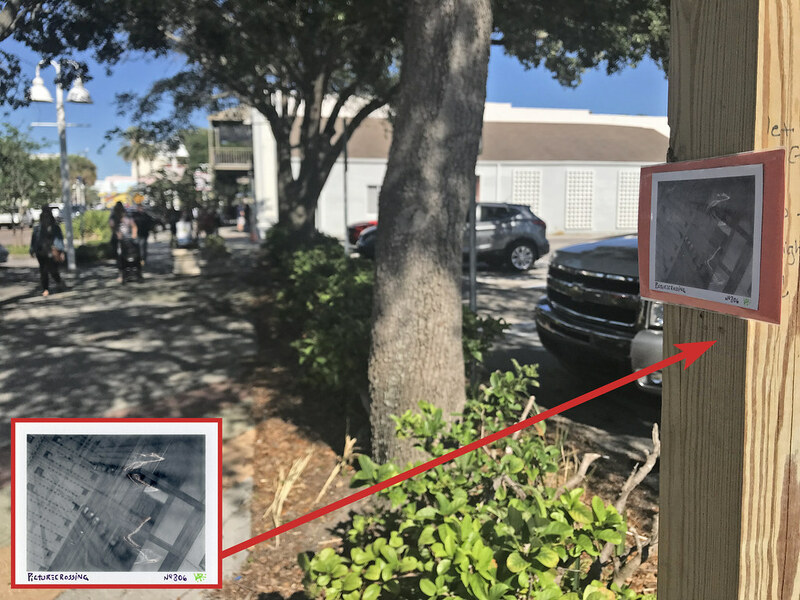 806 was LEFT: in St. Pete, Florida on Saturday, 4/20/19 on a wooden post in front of the parking lot between Fergs & the Bodega on Central Avenue. 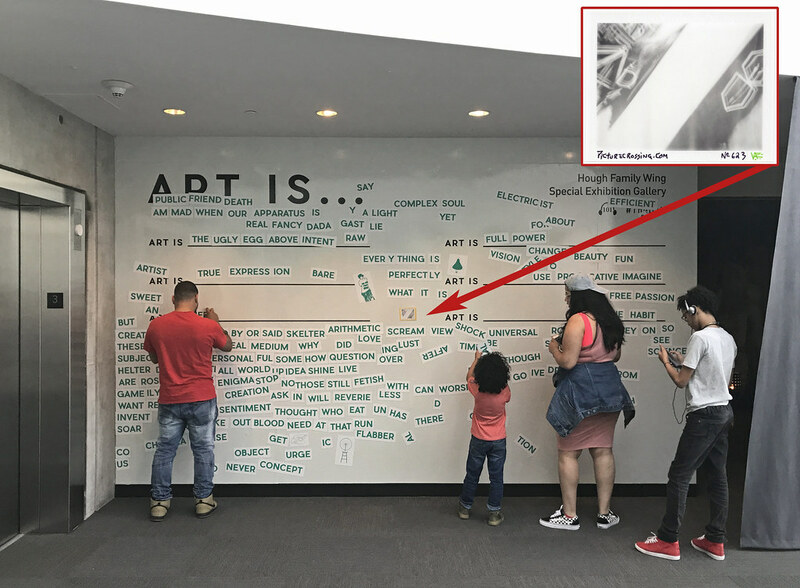 "I found your picture by fergs i walked past it twice an finally stoped to actually read it. 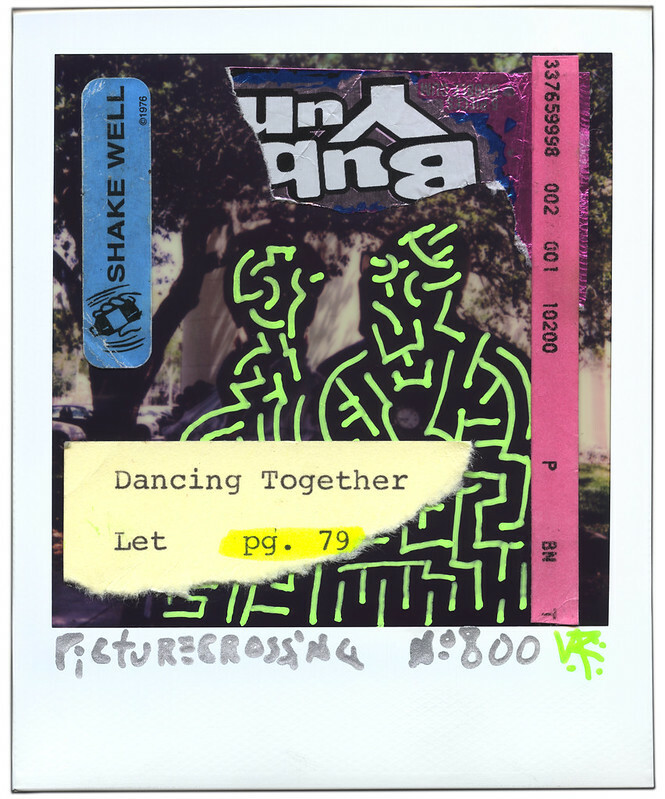 But i would like to know more about the pic an what it is"
Collaged Polaroid "Shake Well, Dancing Together". This was a very underexposed image of a couple of friends posing in front of a tree at FSC in Lakeland, FL. Drawn & collaged on 3/30/19 with trash from the streets. 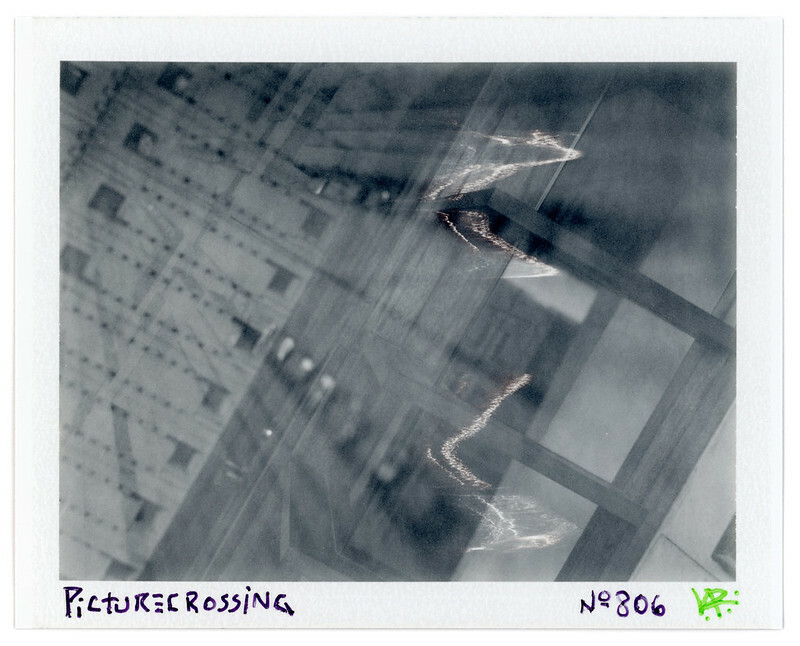 Picturecrossing No. 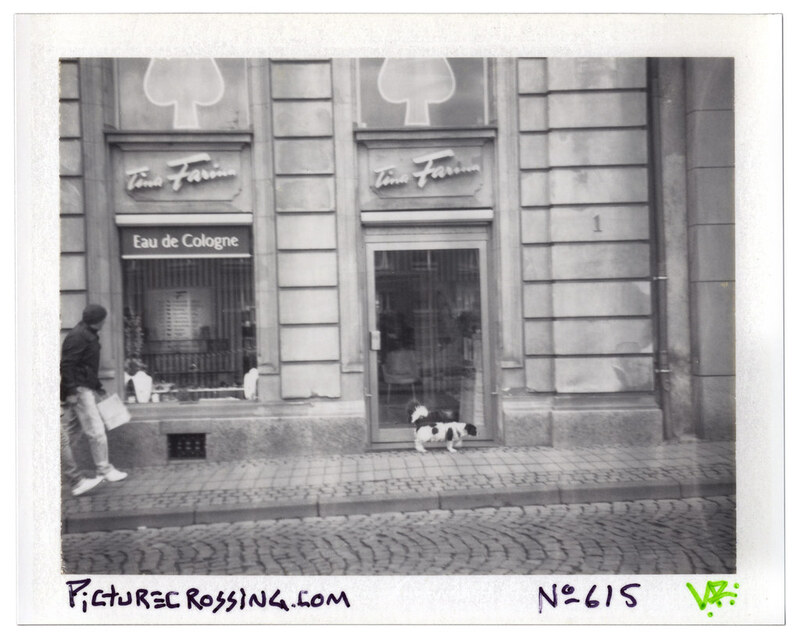 800 was LEFT: in St. Pete, Florida on Saturday, 4/20/19 on a pedestrian crossing sign at the intersection of Central Ave. and 7th Street N.
Picturecrossing No.615 (EE No.67) Dog visits Tina Farina, Cologne, Germany. 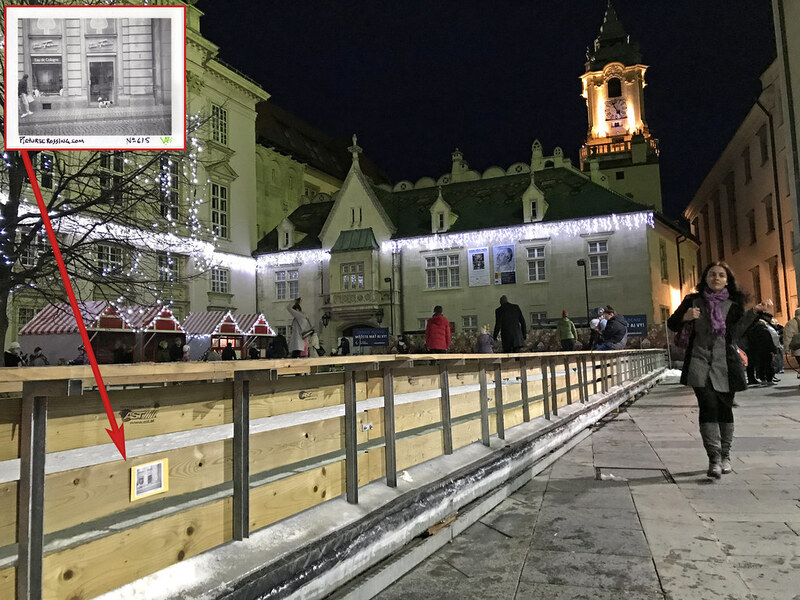 LEFT: This picture was left 1/4/18, on a wooden fence around a temporary ice skating rink in Primate's Square (Primaciálne námestie) in Bratislava, Slovakia. "Hello. I found your artwork. I found him in Bratislava on a square glued on an ice skate. I took the photo from home. Nice project. Will you tell me the story of this photo? No. 615 ...First of all, I wish you a happy way home and apologize for my English. It's great you work on such a project and I'm glad to be part of it. I am a Slovak man born in Bratislava. I'm 26 years old, I work in security. 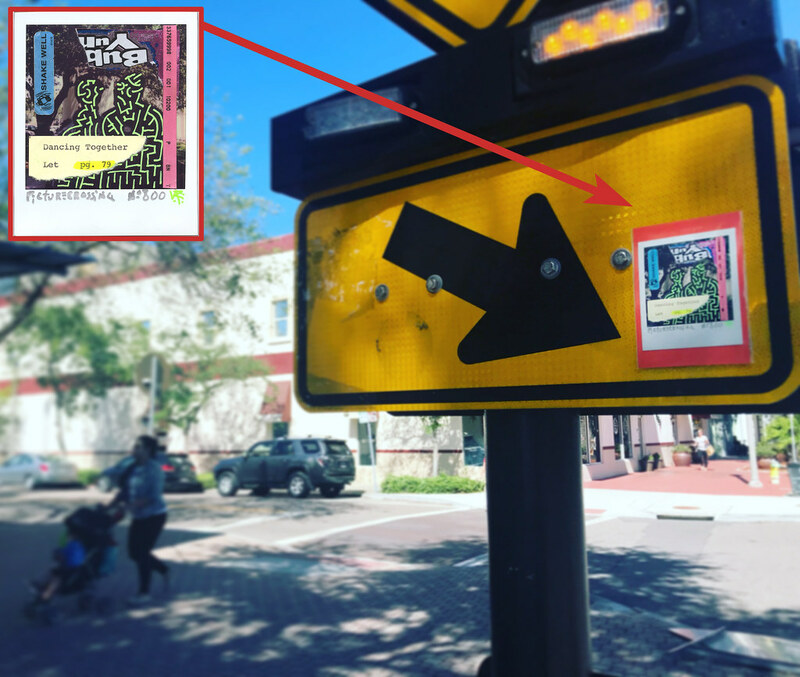 I found the photo on Saturday (6.1.2018 with us State Day) about 2:00 pm. We were with two friends to go to the city and also to give pizza as it was a weekend and the next day we did not go to work. 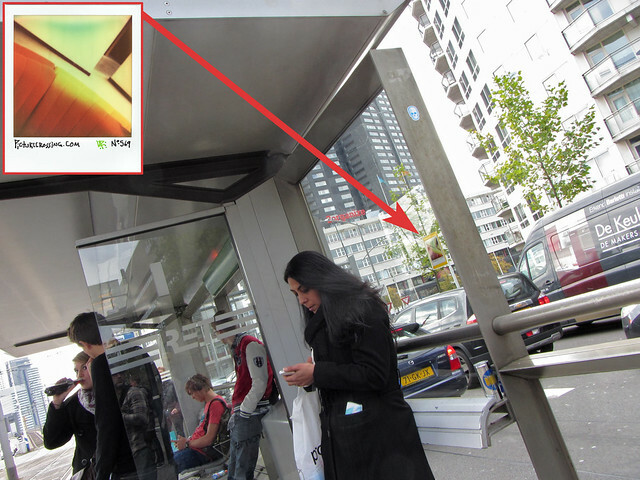 We stood for a while and I noticed the photo So I picked it up and I looked at what it is and the next day I wrote you. I'm glad to tell you more about this project. How many photos did you leave in Bratislava? Have you liked us? You spend more time relaxing. I'm looking forward to your next message. Farewell." This image was photographed at the Boijmans van Beuningen Museum in Rotterdam, Nederland. (S6 No.115) deStijl relationship with the circular red couch and background walls in the lobby of the Musée de la Photographie in Charleroi, Belgium. I was visiting there for the day with my wife and two photographer friends.